You are currently browsing articles tagged Hawaii. 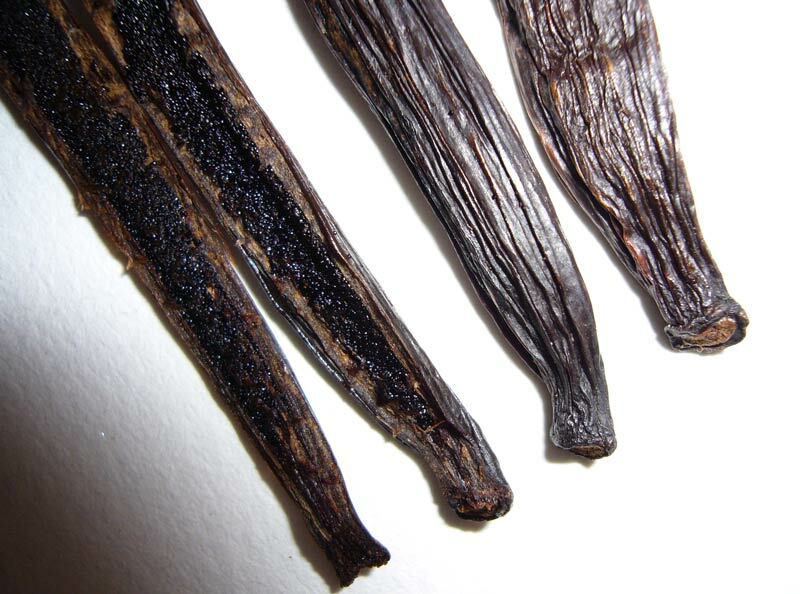 Vanilla beans reviewed: 3 Hawaiian planifolia. Cost: a reader kindly provided these beans for the site. 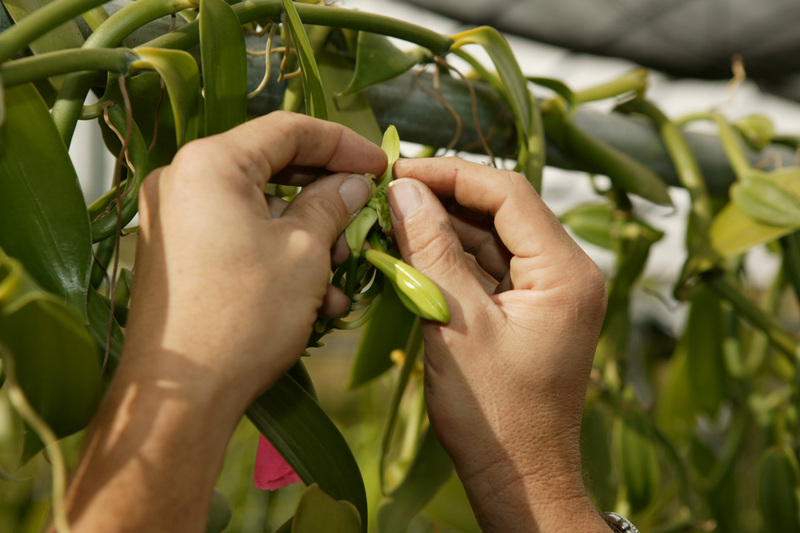 Vanilla is grown commercially in very small quantities on the Big Island of Hawaii. You can buy expensive bottles containing one ($10) or three ($25) vanilla beans from the Hawaiian Vanilla Company. A reader took a tour of the Hawaiian Vanilla Company, and was kind enough to send a range of vanilla and macadamia nut products. 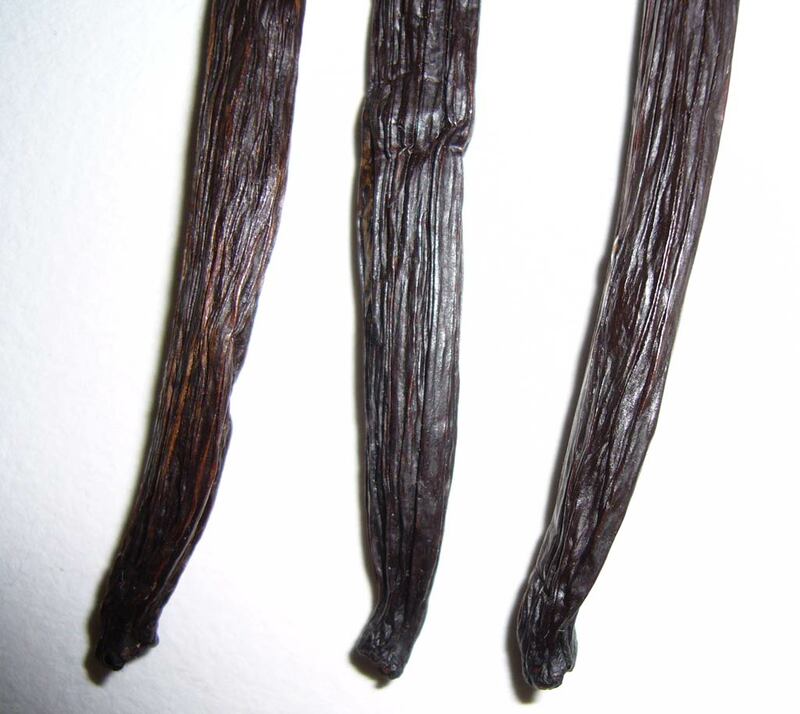 The vanilla is somewhat-to-very plump, with dark, matte skins. The pods are flexible with a beautiful, sweet aroma. 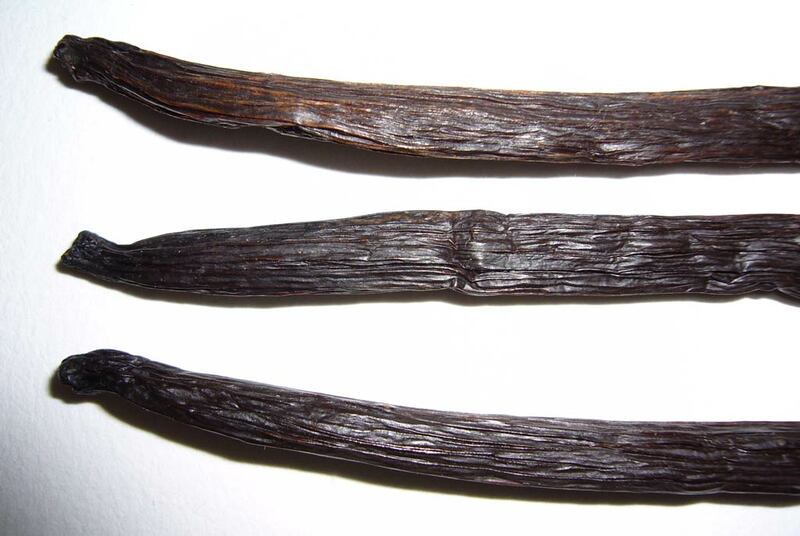 The aroma is rich, and sweeter than traditional Madagascar grown vanilla. 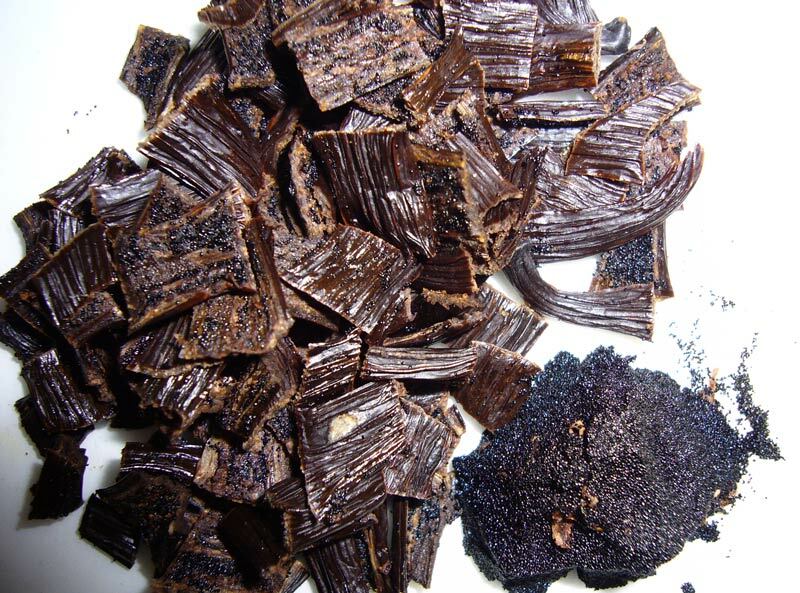 Yield of caviar is average for vanilla this size. 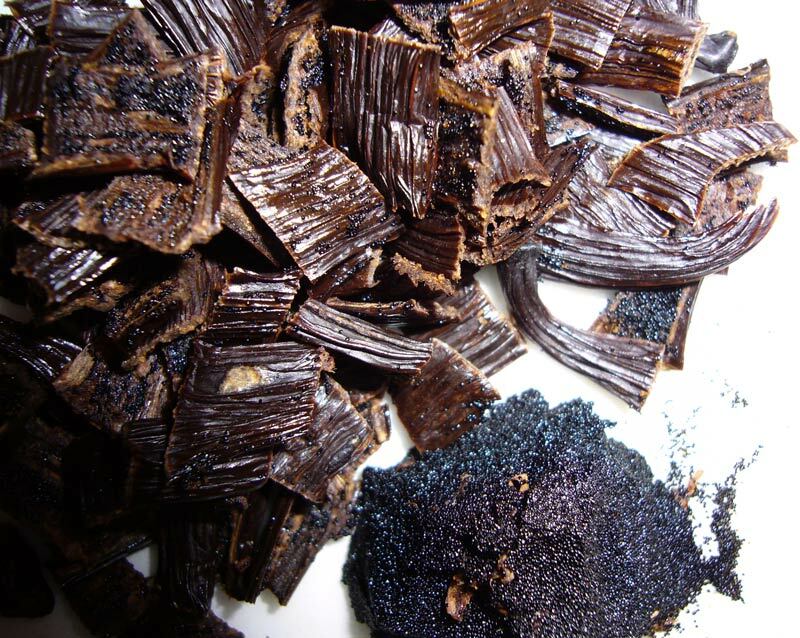 The caviar is brown, thick, and formable, but not especially oily. 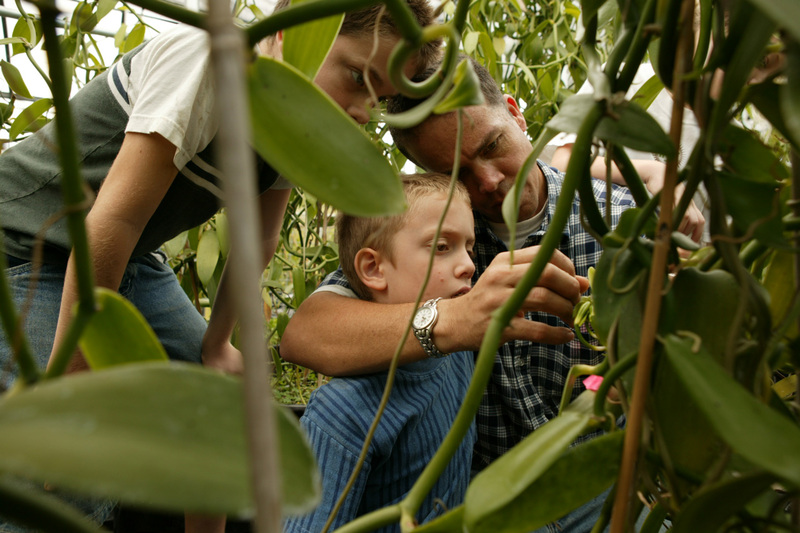 These beans come from old stock, prior to a viral outbreak of the vanilla vines at the Hawaiian Vanilla Company. 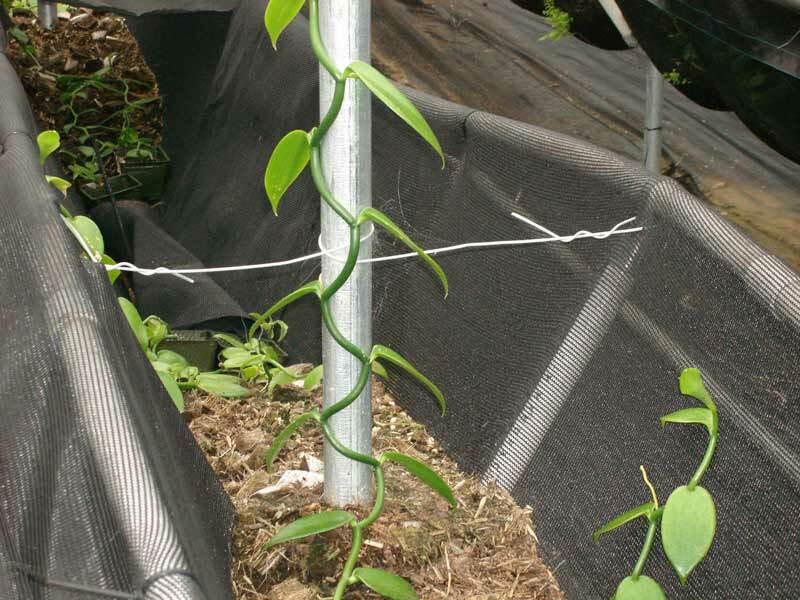 A reader reports that their new vines are doing well. Three vanilla beans were packaged in a very heavy glass bottle. One bean was too long to fit in the bottle and was damaged by being bent. Instructions on the bottle recommend slicing one bean and filling the bottle with alcohol, but at ~1cup, this extract would be eight times weaker than normal. The vanilla beans are wonderful, but the bottle is expensive, fragile, and heavy to ship; I hope they consider an alternate package when the new crop is finished curing. 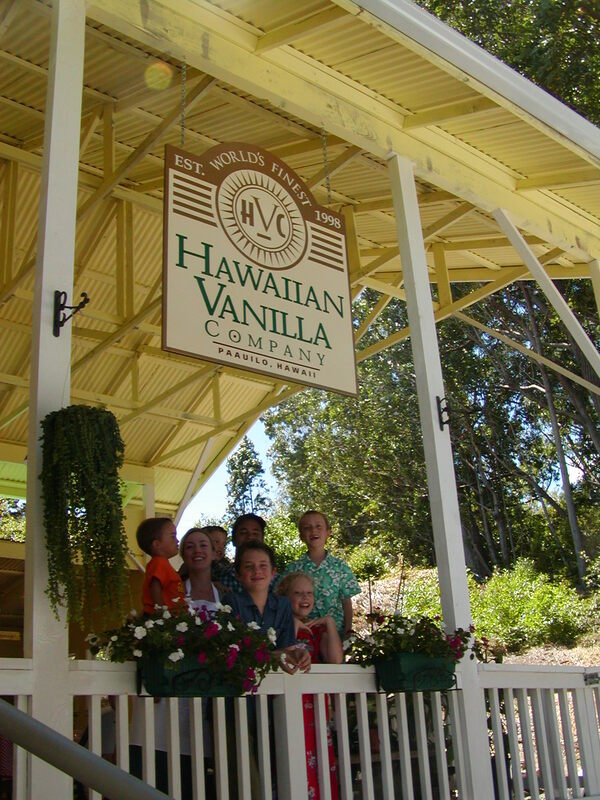 Be sure to visit the Hawaiian Vanilla Company the next time you’re on the Big Island of Hawaii. Jim Reddekopp at the Hawaiian Vanilla Company says that their vanilla sells to local restaurants and hotels so fast that there’s no bulk beans left for me (or you!). 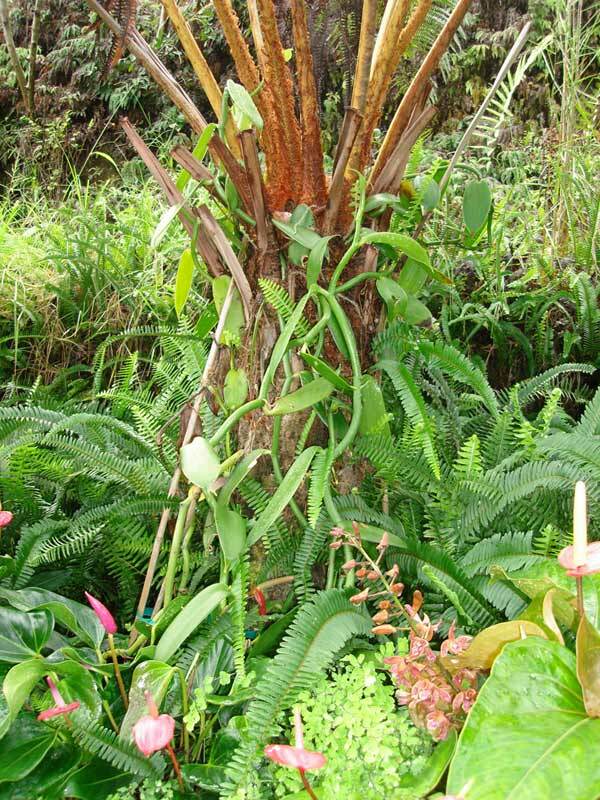 I recommend that you contact Clare at Huahua Farm, also on the Big Island. If the timing is right, you might be able to buy some vanilla beans from her. 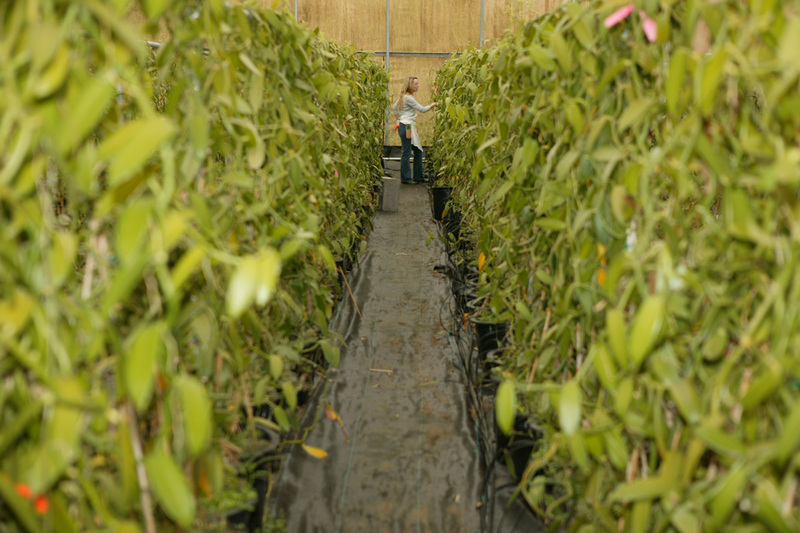 Thanks to Hawaiian Vanilla Company for providing some photos of their vanilla plantation. 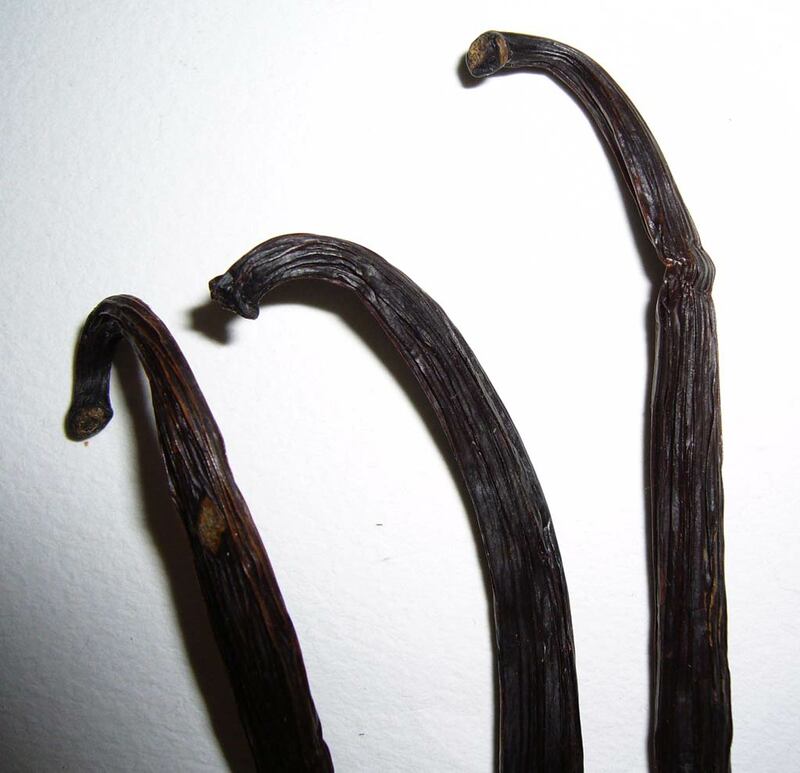 [Our] vanilla beans are graded by their length. 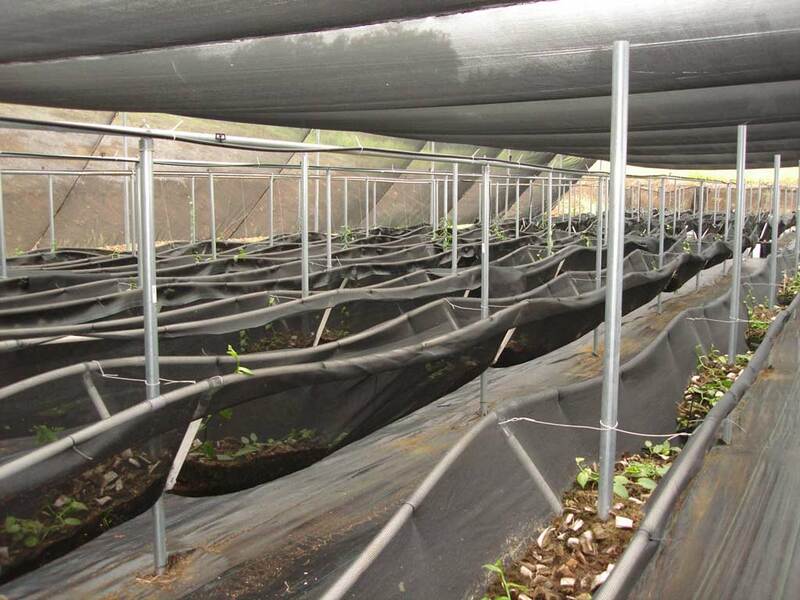 Our beans come in two grades: Grade A, which is more than 6” long and costs $190/pound; and Grade B, which is less than 6” long and costs $175/pound. We also sell individual beans for $10, and a pack of 3 beans for $25. 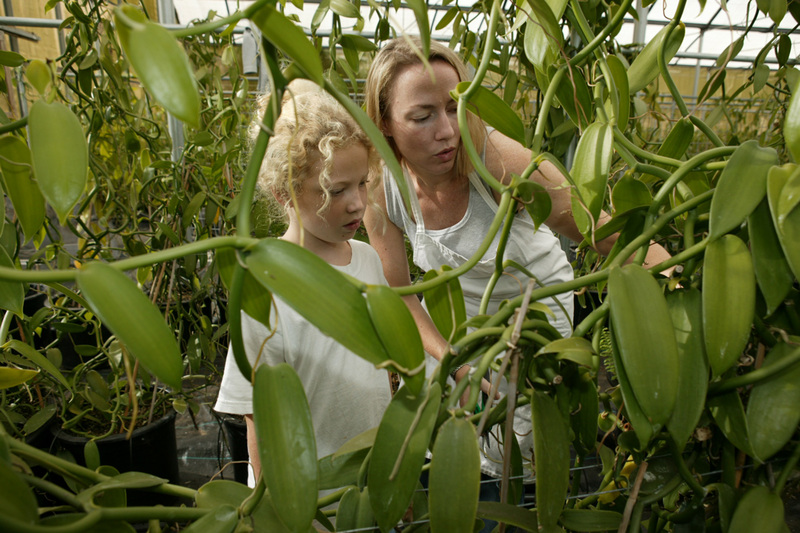 Tracy and I both pollinate the orchids, along with our three oldest children – Ian (11), Emma (10) and Isaac (8). Additionally, we bring in 4-6 other pollinators during this busy period. I was recently in Hawaii and bought a 3-bean bottle from Hawaiian Vanilla Company for $25 and added Absolut vodka to the bottle. 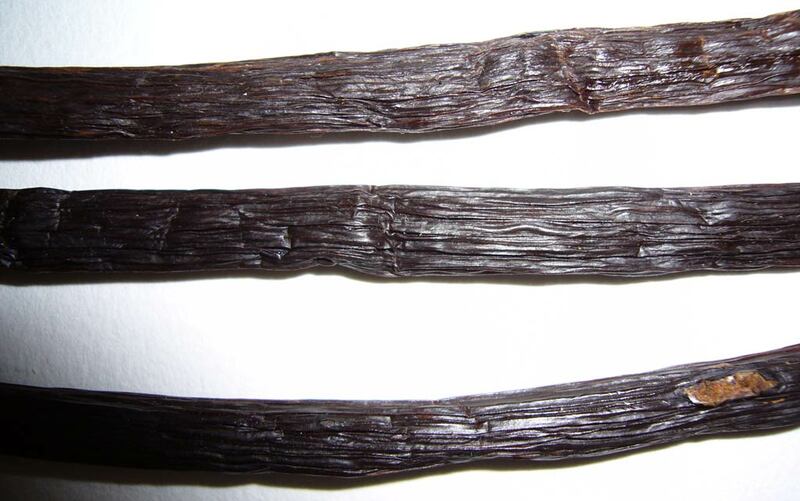 I have to tell you that the Hawaiian Vanilla Company beans were absolutely luscious — long (about 8″ long), extremely plump and with a great smell. 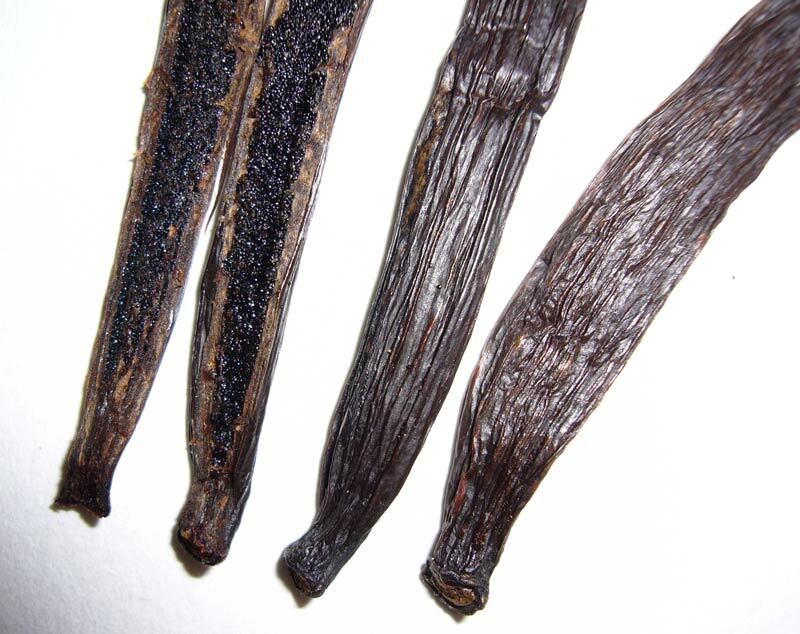 Vanilla beans reviewed: Hawaii planifolia vanilla “A” and “B”. Cost: $15 for 4 “A” beans, including shipping.